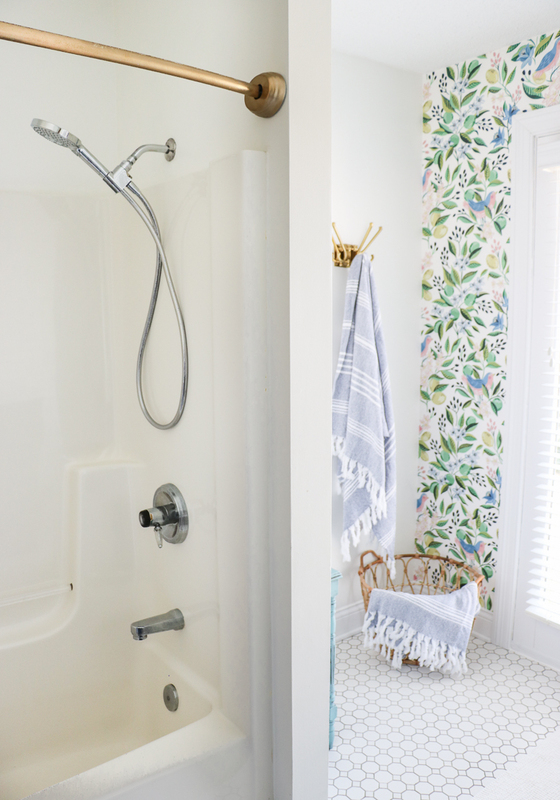 How to Replace a Shower Head - Sincerely, Sara D.
This post is sponsored by hansgrohe on behalf of Everywhere Agency; however, all thoughts and opinions are my own. The shower head in our bathroom was original to the house (over 20 years old), and it was time to retire it. 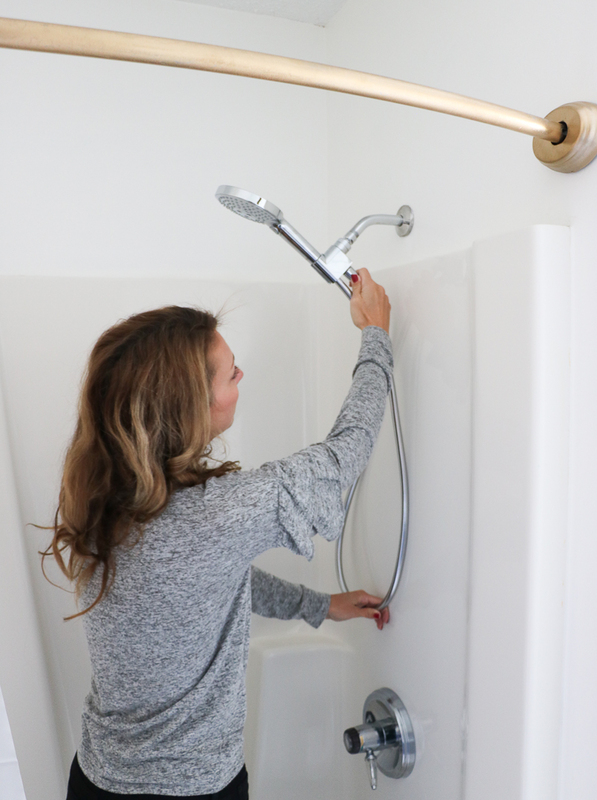 Before I talk about how how amazing our new hansgrohe handshower is, I’m going to share how easy it is to replace a shower head. 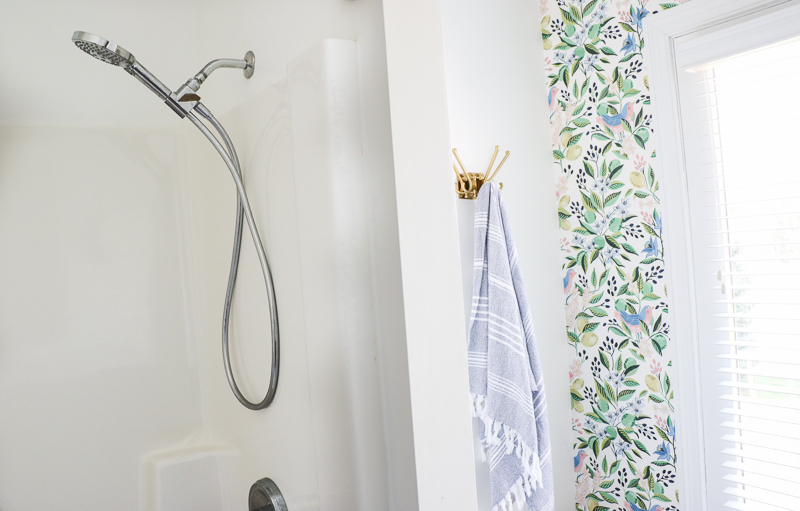 I am a DIY girl, but for some reason I never realized how easy it would be to upgrade our sad shower head – otherwise it would have been gone long ago! 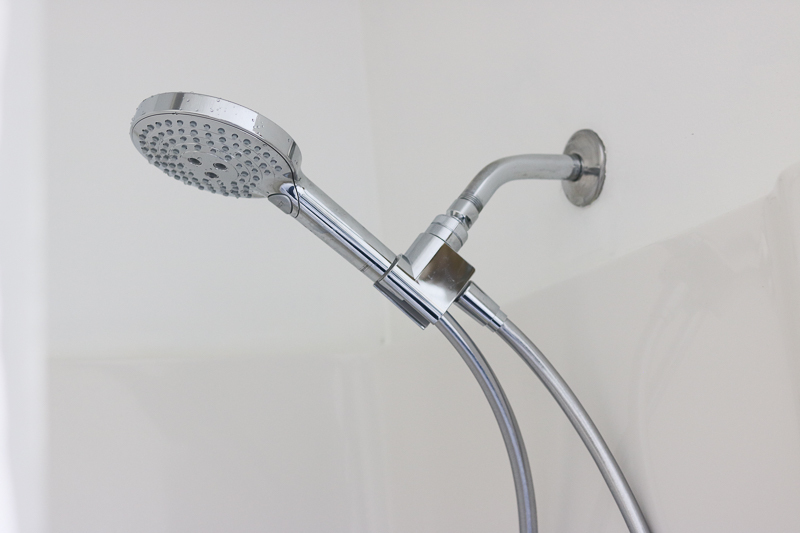 I was able to remove my old shower head with my hands, but if you aren’t so lucky, use a wrench and open it wide enough to grip around the notch of your shower head. Turn the wrench counter-clockwise, and it should loosen it up enough to remove it with your hands. 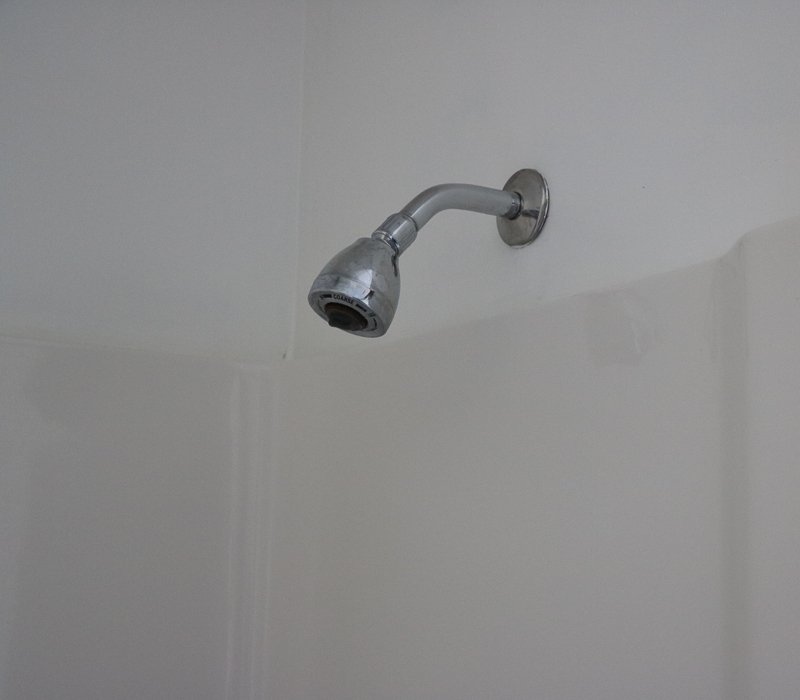 After the old shower head of tape is off, wrap the threads of the pipe with a couple layers of the Teflon tape. 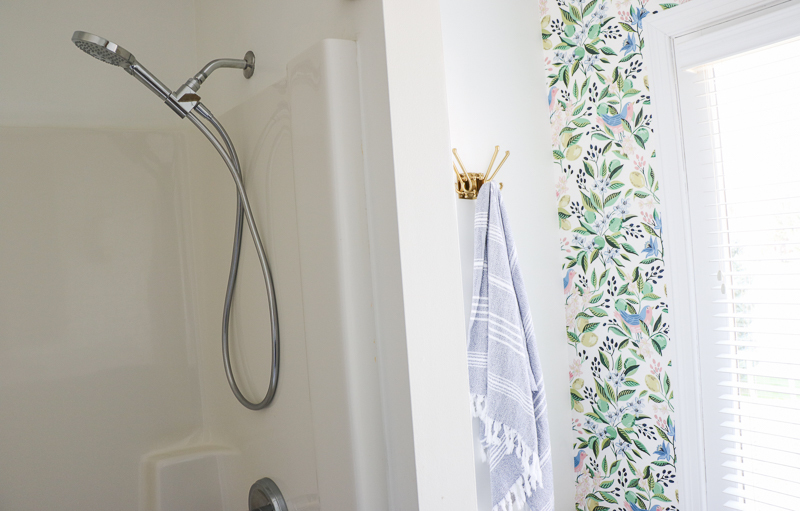 Each shower head is different, but you’ll probably just need to hand-tighten it onto the pipe by turning clock-wise. Don’t use a wrench unless the instructions state it (and if you do, be careful to not over-tighten). 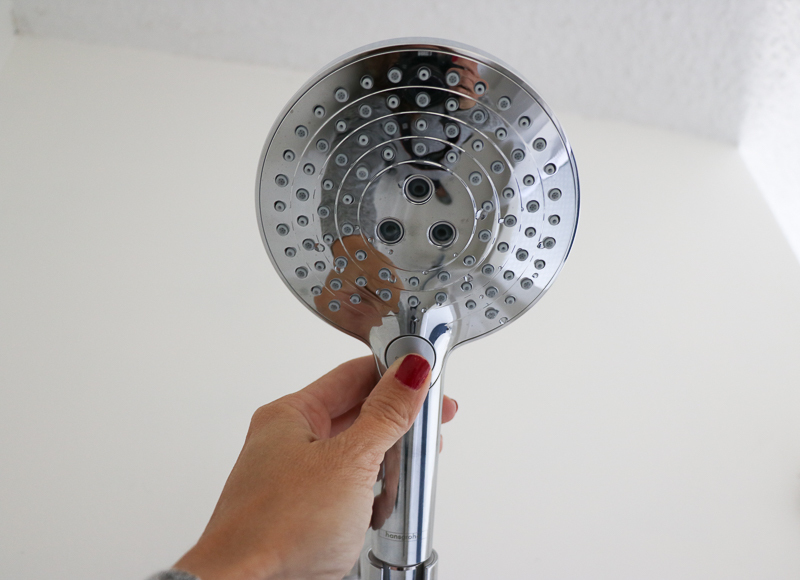 In under 5 minutes, I had a completely new shower head (it’s now a handshower), and a luxurious shower thanks to hansgrohe’s PowderRain shower head! 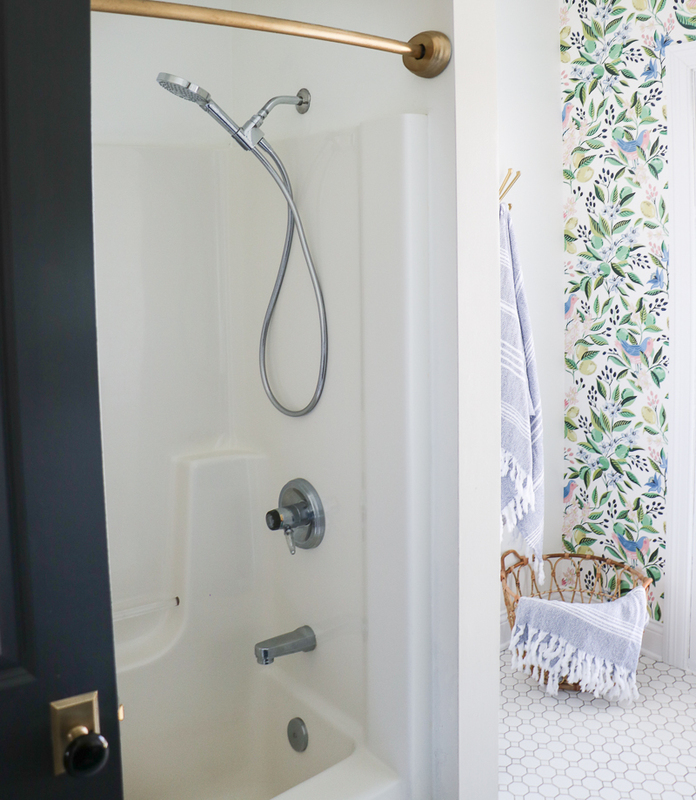 It’s amazing how attainable luxury can be with a simple and sleek shower upgrade. hansgrohe (a leading manufacturer of innovative and design focused bathroom faucets and shower products) has introduced its latest innovative technology, PowderRain, designed to enhance showers to a spa-like quality. Not only does it look better, but it feels so much better! The hand shower offers 3 spray modes (Rain, Whirl, and PowderRain), but our favorite is the PowderRain. Our showers have been taken to the next level thanks to hansgrohe’s PowderRain technology. 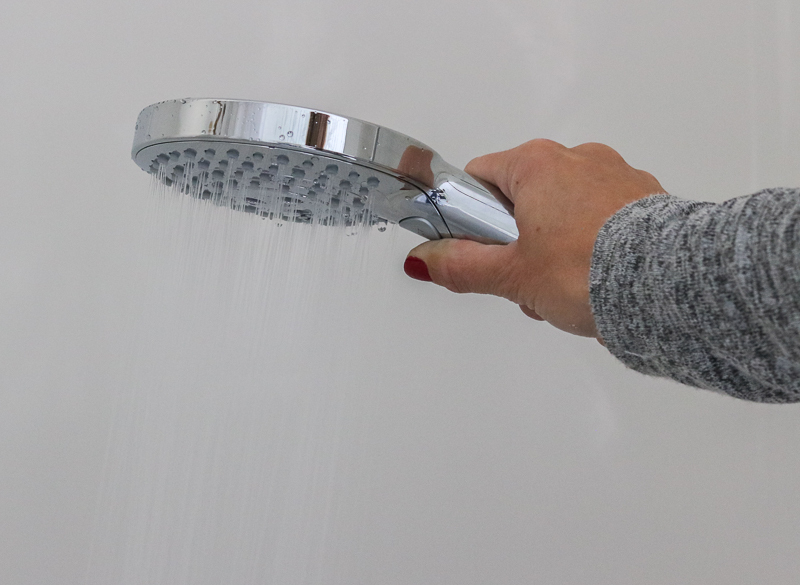 The PowderRain hand shower contains gentle, microfine droplets of water that cocoon the body for the ultimate relaxing shower experience. PowderRain is engineered to envelope the body to reduce splashing while micro-droplets are significantly quieter than typical showers, resulting in peaceful moments of shower bliss. PowderRain micro-droplets cover a much wider area of the body and effectively rinse out shampoo – which is especially helpful for my young daughter who has a head of hair! 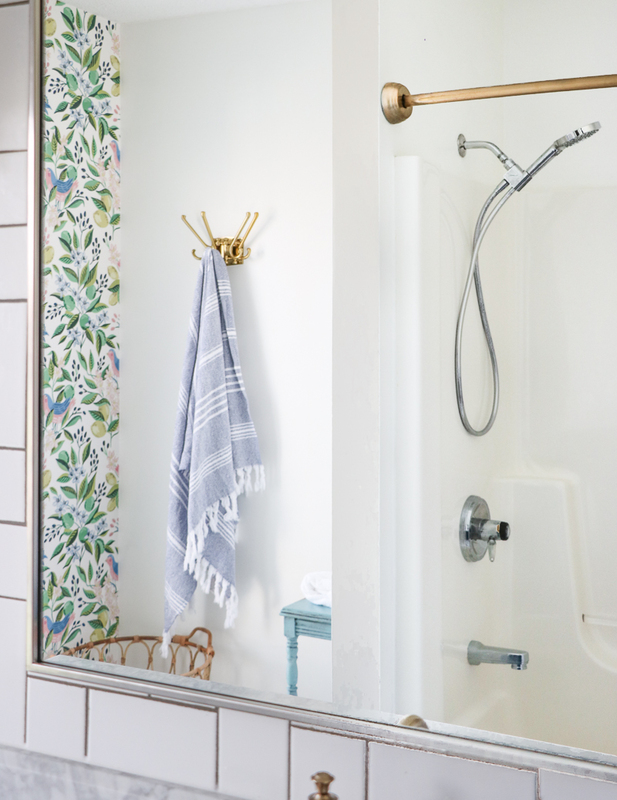 This hand shower makes us feel like we have a five-star hotel luxury in the comfort of your own home. 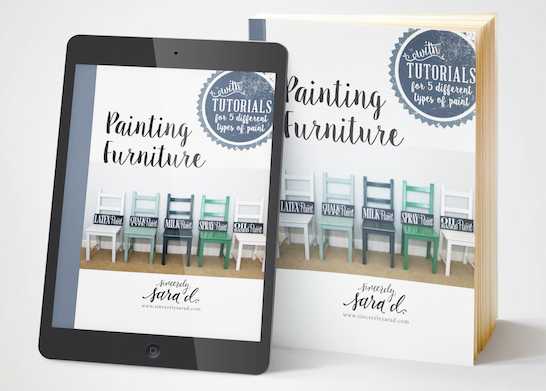 In the midst of hectic, everyday life, finding momentary bliss can be challenging. 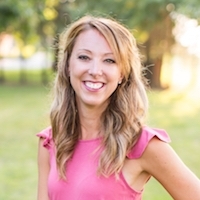 Investing in self-care often entails indulging in expensive trips to the spa or taking a vacation to simply achieve relaxation. However, with hansgrohe’s innovative PowderRain technology, a simple shower upgrade can make all the difference in your daily routine – creating a personal sense of luxury and cost-effective away to enjoy an elevated lifestyle. 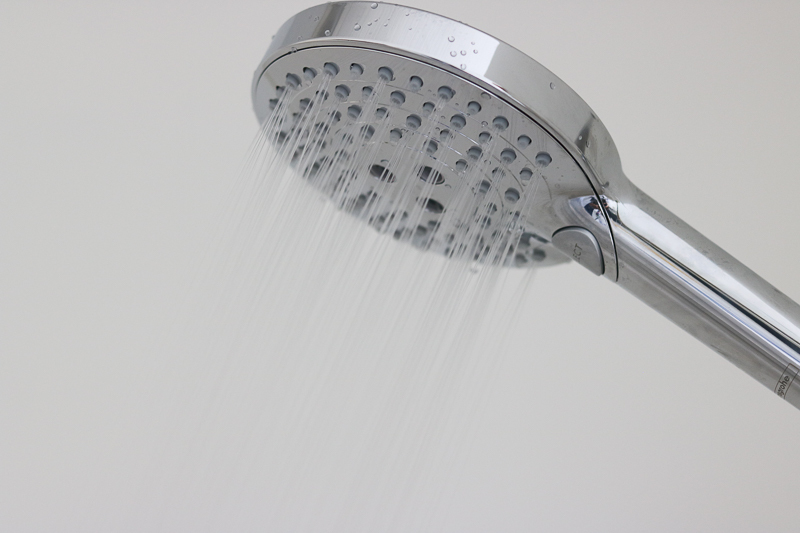 Want the luxury of a hansgrohe shower head in your home? 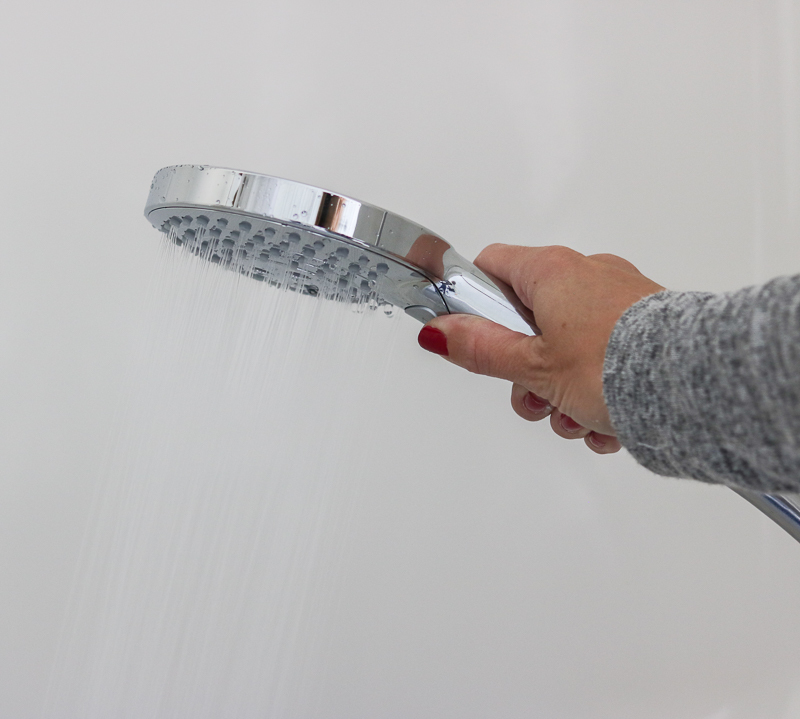 Purchase your PowderRain showerhead here!